Greetings to the fans far and wide. go sign the card to send your Holiday Greetings to Adrian! We hope you enjoy this yearly event , it is open to ALL fans. 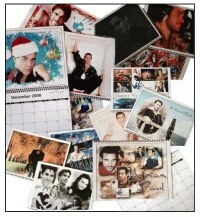 The final Calendar for 2010 is finally here! the image. Your FREE download awaits. experiencing technical difficulties. Our sincere apologies. 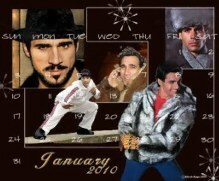 Adrian Paul Calendars. SO, it's time for the 11th one. use as a desktop, print it out...just enjoy it most of all. for a few days, then on the road again. Whew! 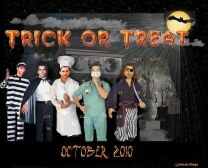 Be sure and find your way to a howling fun Calendar for October 2010. 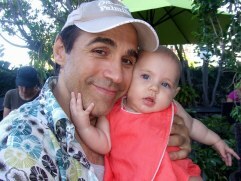 Adrian Paul as a jailee, Dracula, Cook, Doctor and Pirate....Boooo! Print it out, use as your Desktop...or just enjoy here. Oh yeah, it's FREE!!! to her first steps!! 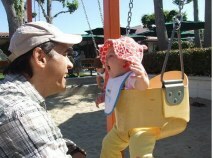 Be sure and check out Adrian's Baby Blog update. features Adrian Paul as John Kincaid. Highlander with a strong Tuscan accent? Can it be true? great location sights for "Basile's Legacy." 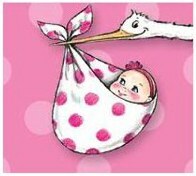 There is a new posting in little Angelisa's baby blog. or desktop. Print it out and enjoy it at work....the possibilities are endless. 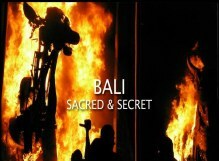 for a Bali documentary "Sacred and Secret". Adrian is in Italy working on "Basile's Legacy" and scouting locations. Official Facebook page. Next stop is Tuscany. Click HERE! He also took the time for a quick interview. You can see it on YouTube.....Click HERE! Facebook page for that....... Click Here! Be sure and watch them all. special effects. Adrian only appears in Season Two of this show. "No adult is safe..." So goes the premise of a new project for Adrian. ready. Each month you will find a new one. let others know it's FREE. 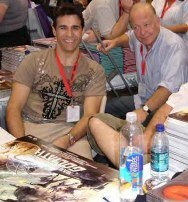 Abramowitz were working on a project , "Bazil's Legacy." episode "Homeland" (among others) to see how he works. See the little video clip from Comic Con click on pic below!! be shared with one and all! 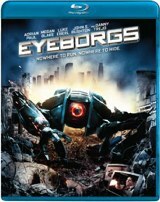 action films, GO GET THIS MOVIEI!!! The newest in our Monthly Calendars is ready for you! no matter where it's at. Facebook page for some videos and pictures. and take a look at past Cons....from way back when! We have NEWS dating back to 2004 so take a look & stay a while!! 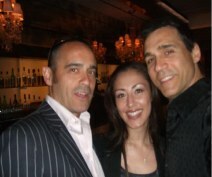 published June 19, 2010 had a small quote by Adrian Paul. to do what you want to do, better." Geoffreys Malibu, in Malibu, Ca on Adrian's birthday, May 29th. fans and get to meet the actors. want YOU to be part of the celebration. and happy birthday wishes for Adrian. so this one is the first of many!! blogs and ride along with them as they spread PEACE. those who took the time to vote! many folk whosent gifts is nice to see. Check out Adrian's latest Blog addition. Click HERE!! 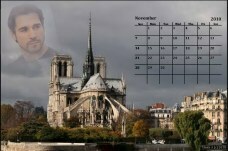 Get your FREE Adrian Paul Calender for MAYl! Even print it out if you want and use at work. Great Paris design. Odeon West End theater along with some of his co-stars. Meredith Ostrom, Gary Stretch and Lee Ryan on April 16th. No word yet if the movie will be released in the US. was in like a Lion and out like a Lamb, so this is perfect! You can download yours FREE!!! 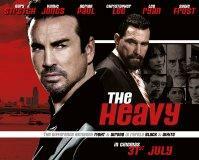 ""There can be only one MI4 Baddie: Adrian Paul"
"The Heavy" finally hits theaters in the United Kingdom on April 16th. It might be premiering at a theater near you. No word on when it might be shown or sold here in the US. right here on our special "The Heavy" page. look like PEACE will be a top 3 finisher, but you can still vote. for the charity, so that's always a good thing. Click HERE to vote at Show Us Your Goodness. PEACE is # 29. Why not help us get to at least 1,000 votes!! Tell your friends too! baby Angelisa. Can't blame him, she is gorgeous! A new Calendar every single month for you to enjoy. Elise who shares her talents. Download and use as wallpaper or screensaver. Follow Joshua on Twitter too! know when we get the final due date. 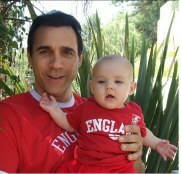 There is a new report by Adrian on the official Baby Blog. The Auction is now over (Feb 17th) and it was a great one! Triple Negative Breast Cancer Research. this year, we've raised $1003.93 for The Peace Fund!! The 4th Annual Adrian's Angels Auction is now OPEN!!! items. Necklaces, earrings, kilt pins, books, movies and more! "PEACE" charity and also to keep AA online. You enjoy the site? Then help us stay here! Valentina-Rose with her Mommy and Daddy. They look like a very happy family! anyone can come up with ideas for thei own charities. calendar for February. Chocolate... strawberries...yum. Thanks to Debbie for taking the time to share the Adrian wealth. and offers up some great great items for you to bid on. You can't beat this deal..
your monies go to The PEACE Fund to aid efforts in Haiti. Awesome! 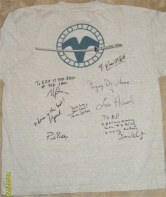 written on the shirt making it especially collectible. 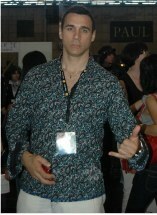 to benefit Adrian Paul's The Peace Fund!! Adrian wants to help aid in Haiti, so let's support him. or are selling things you might just need. the 'PEACE for Haiti Relief Effort' by the artist himself. a lot to bid on!! "scaldic" poetry. 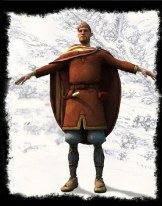 Due to be released in 2010. A new note from Adrian on his Baby Blog. The time is getting near!! To read Adrian's Blog, just click HERE! and enjoy at your leisure. 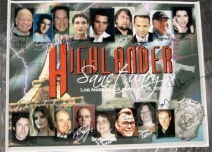 HIGHLANDER is a worldwide copyright and trademark of Davis*Panzer Productions, Inc. and Gétévé. All rights reserved.